Despite increased tune-in during Mr. Trump’s first month as President in February 2017, CNN had its second-best February total day in ten years (since 2008) among adults 25-54. The network also had its second-best February dayside performance since 2009 in both 25-54 and total viewers. And in prime time, CNN had its third-best February audience levels since 2008 among adults 25-54 and since 2009 among total viewers. CNN once again surpassed MSNBC in total day, daytime and weekends among adults 25-54 this month. CNN has now beaten MSNBC for 44 straight months in total day in the key demographic 25-54 (230k vs. 217k), the longest monthly streak since January 2010. Every hour of CNN’s daytime programming (9am-4pm) topped MSNBC’s dayside’s programming this month among adults 25-54. During the day, CNN had a +18% advantage over MSNBC in the key demographic adults 25-54 (218k vs. 185k), with CNN now outperforming MSNBC for 48 consecutive months in this important daypart. This is the longest streak on record. CNN also easily outperformed MSNBC during weekend programming among adults 25-54 in both total day (182k vs. MSNBC’s 129k) and prime time (182k vs. MSNBC’s 119k). On Saturdays, CNN delivered higher demo audiences than MSNBC for 22 out of 24 hours and on Sundays, beat MSNBC all 24 hours among adults 25-54. CNN ranked #1 in cable news among adults 25-54 on Saturdays at 1pm and on Sundays during the 12pm, 3pm, 4pm, 9pm, 10pm, and 4am hours. Erin Burnett Outfront (7pm) topped MSNBC’s Hardball with Chris Matthews in February (357k vs. 355k) for the second straight month and for five of the last seven months. CNN is having its second-best February 7pm delivery since 2008 among 25-54 and since 2009 among total viewers. Anderson Cooper 360 (8pm) is having its third-best February delivery on record in both adults 25-54 (402k) and total viewers (1.142m) and is also CNN’s top-rated prime time program. CNN Tonight with Don Lemon (10pm) is having its second-best February delivery since 2009 in both adults 25-54 (352k) and total viewers (925k). New Day with Chris Cuomo and Alisyn Camerota is having its second-best February on record in adults 25-54 (219k) and total viewers (608k). Other key CNN programs such as Early Start with Christine Romans and Dave Briggs, The Lead with Jake Tapper, The Situation Room with Wolf Blitzer, Smerconish, State of the Union with Jake Tapper, Inside Politics with John King, Fareed Zakaria GPS and Reliable Sources with Brian Stelter all easily surpassed MSNBC this month, posting higher demo 25-54 audiences. The Van Jones Show (239k) ranked #1 in its time period across cable news among adults 25-54. The program was ahead of Fox News (230k) by +4% and easily topped MSNBC (126k) by +90% in the demo. The Axe Files with David Axelrod (165k) ranked #2 in cable news in its time period and was ahead of MSNBC by double digits (+18%; 165k vs. 140k). CNN’s newest Original Series, The Radical Story of Patty Hearst, completed its six-episode run in February, with the docuseries ranking #1 in cable news in the Sunday 9-11pm time period among 25-54. In total viewers, the docuseries ranked #2 in cable news, more than doubling the MSNBC delivery in the block (+106%; 896k vs. 434k). Versus the prior four Sundays, this series posted the largest and only double-digit growth in cable news among both 25-54 and total viewers. The Radical Story of Patty Hearst has posted 260k transactions on VOD to-date. This makes Patty Hearst CNN’s #1 show on VOD so far in 2018, making up 24% of CNN’s YTD transactions despite making up just 2% of episodes, and being available for less than half the year. Episode 1 (The Kidnapping) posted 20k transactions on the linear premiere day, 2/11, the most viewing in a single day for a CNN Original Series title on record. Among ALL cable networks, CNN ranked #8 in total day in total viewers in February. 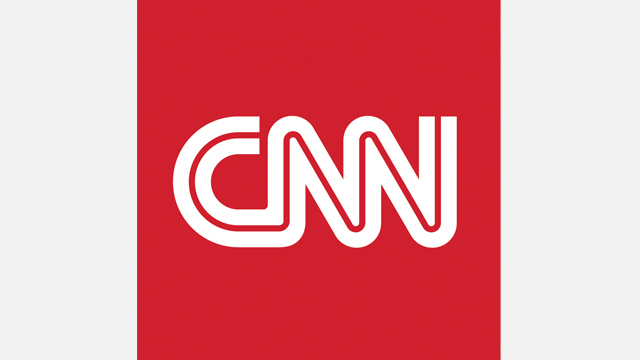 This marks the second straight month and the sixth time in the last seven months that CNN is a Top 10 cable network in total day among total viewers. Year-to-date, CNN attracts an audience that is four years younger than Fox News and MSNBC in total day, and seven years younger than Fox News and MSNBC in prime time. MSNBC is tracking at its oldest yearly median age on record in total day and prime time. In January 2018 (most recent data) total day, CNN averaged a +4% lift with out-of-home viewing among adults 25-54. Among all reportable out-of-home cable networks, CNN ranked #2 with 25-54 viewers gained (+10k), behind only ESPN (+33k).